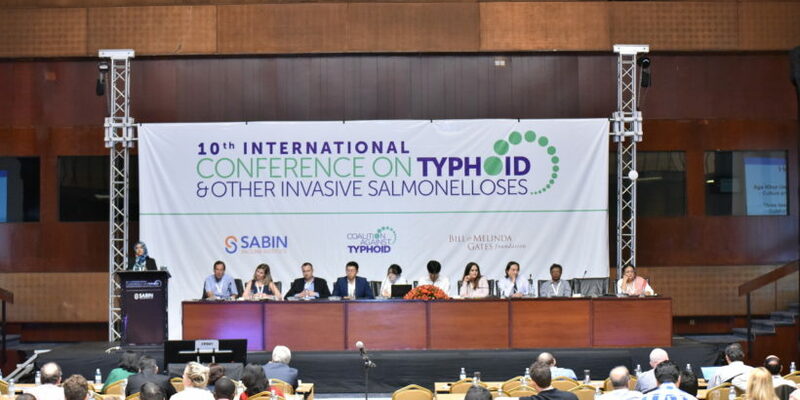 When the Sabin Vaccine Institute’s Coalition against Typhoid held our most recent global conference in 2017, we could hardly have foreseen that it would be the most successful and widely-attended conference ever held on typhoid and other invasive salmonelloses. We had hoped that our theme, “From Evidence to Action,” would translate into reality, but the progress borne out of the cutting-edge research and data presented over the course of the three-day conference exceeded our expectations. This success couldn’t have come at a more pivotal time for typhoid. In the months following the 10th International Conference on Typhoid and Other Invasive Salmonelloses, the World Health Organization pre-qualified and then recommended for use the new typhoid conjugate vaccine, which has the potential to provide long-lasting and effective protection against typhoid for millions of children across the globe. To top that off, Gavi, the Vaccine Alliance, opened applications for low- and middle-income countries to receive assistance funding typhoid conjugate vaccine introduction. These decisions and many more were supported by data shared at the 2017 conference. Now that evidence has indeed turned into action, we need to take the next step turning action into impact. That’s why the theme for our 11th International Conference on Typhoid and Other Invasive Salmonelloses, is “Global Action for Local Impact.” To make this next global gathering a success, we are calling on a diverse group of researchers and advocates to contribute to the conference. We need evidence and data from typhoid and salmonella specialists, but we also need much more. 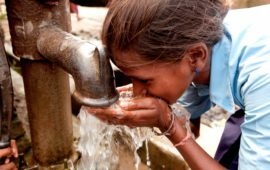 We cannot take global action without the expertise of water and sanitation practitioners, vaccine programming experts, ecologists and engineers, decision-makers and advocates, and the brightest minds from many other fields. That’s why I am pleased to invite you to submit abstracts and symposia for consideration that exhibit original research or innovative programs related to typhoid and other invasive salmonelloses. The 11th International Conference on Typhoid and Other Invasive Salmonelloses aims to invigorate and coordinate the global response to typhoid and other invasive salmonelloses to make a local impact. To that end, we encourage submissions that introduce new ideas, research, policy, and understandings to the field, as well as analyses of both successes and failures. You can find all the abstract and symposium submission guidelines on our website. We hope to see you in Hanoi, Vietnam in March. Together, we can build on our past successes and create global action for local impact. Denise Garrett is the director of the Coalition against Typhoid and vice president of Typhoid Programs at the Sabin Vaccine Institute.